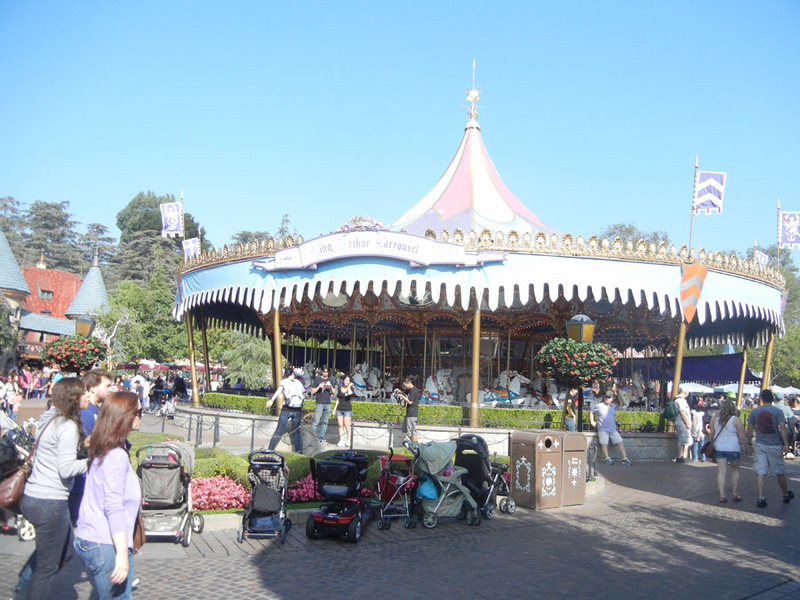 King Arthur's Carrousel would be a typical amusement park ride, but the Disneyland carousel is stacked with decor on top of decor, gold on top of silver. 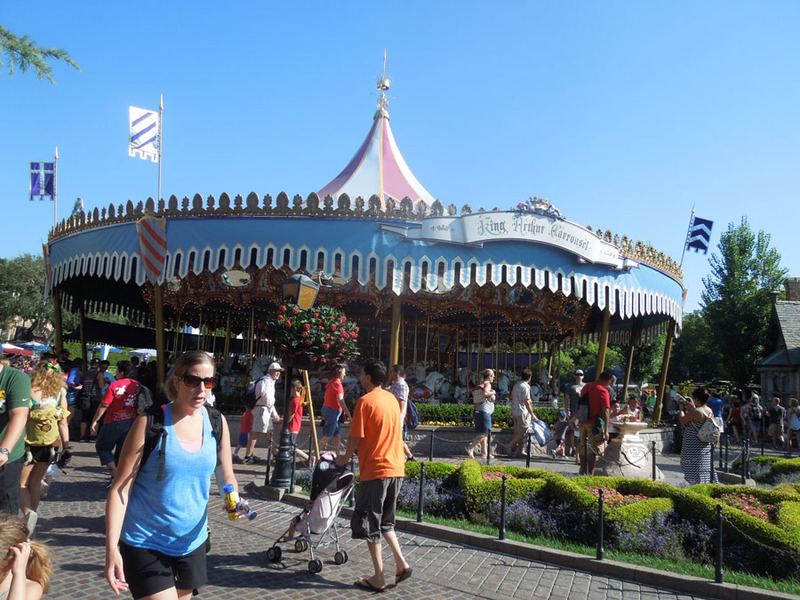 The carousel sits in the center of the main Fantasyland courtyard. I think I like the blue and white awning the most of everything here. 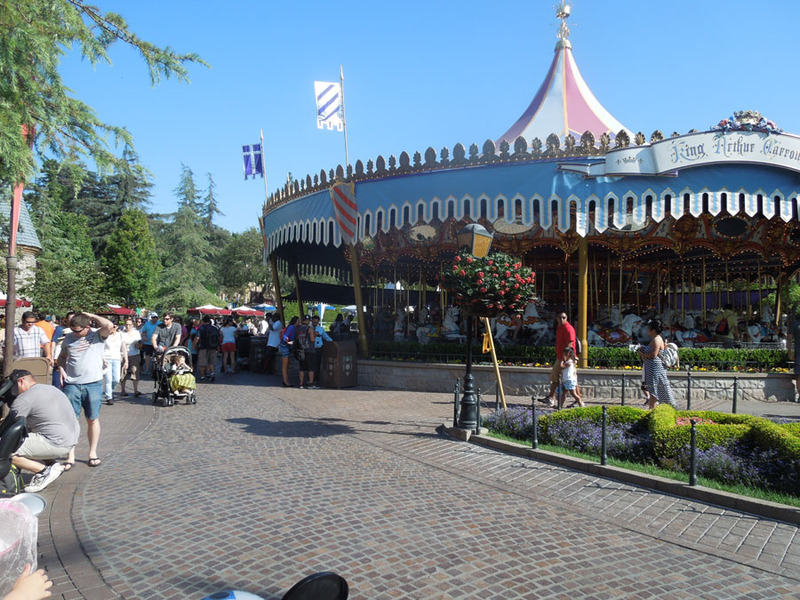 From the North side, the carousel has an additional purple awning that helps shade the guests in line. 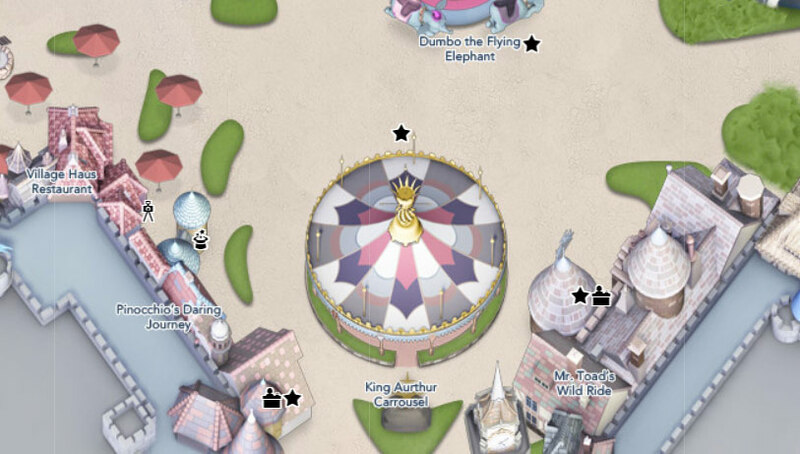 This is a photo from onboard the Dumbo ride. 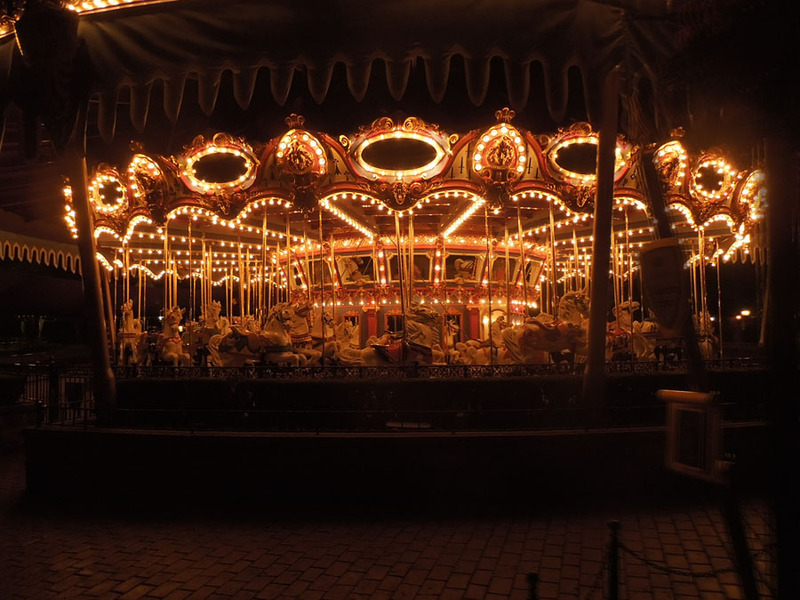 Carousel at night, after closing. 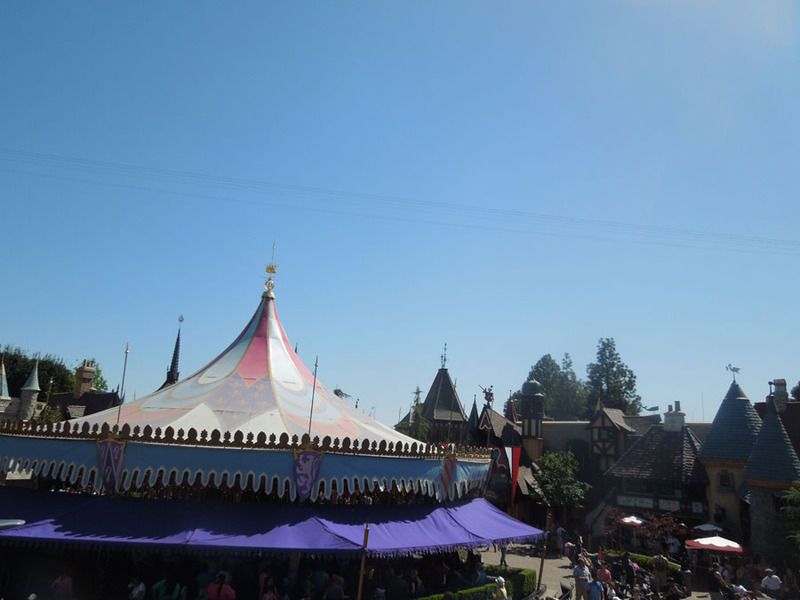 The view from Mr. Toad's wild ride. The grassy areas here are fenced off, but they use a post and chain instead of wrought iron fence.